There has been much made about Conor McGregor lately, and it hasn’t been for fighting. It has been around two separate incidents involving MMA official Marc Goddard. 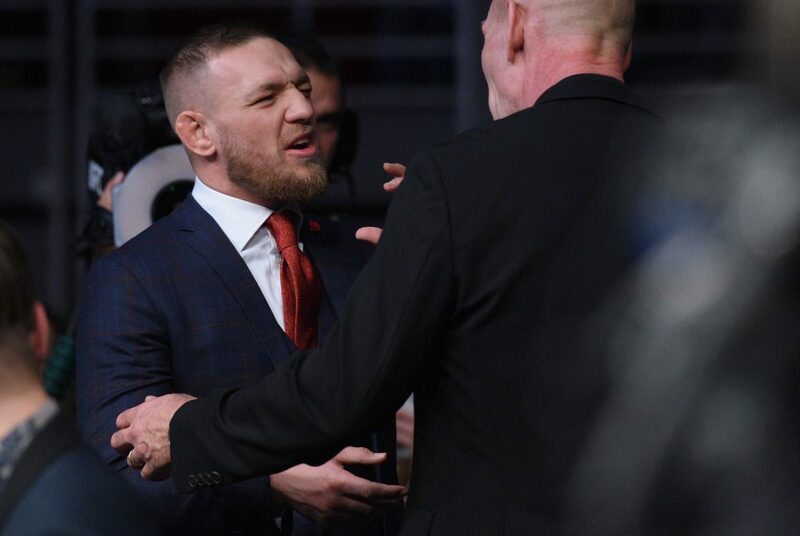 Since October of this year, Marc Goddard and Conor McGregor have had very public confrontations during and following fights that McGregor had been in attendance. 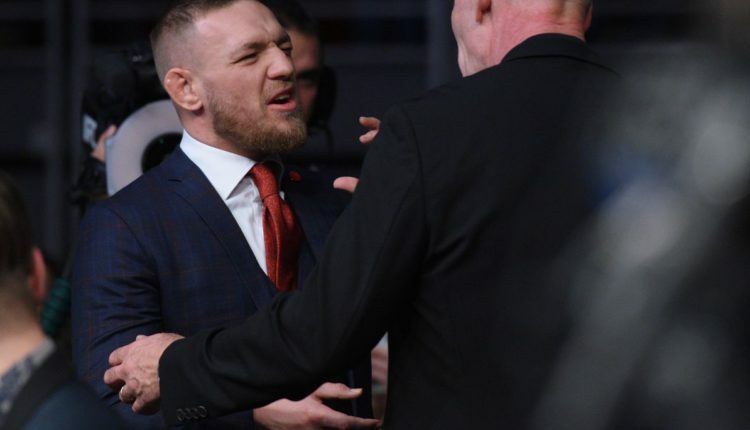 The first incident took place at UFC Gdansk in October when McGregor was acting as an unofficial cornerman for Artem Lobov, when he fought against Andre Fili. In the midst of the preliminary bout on the card, Goddard reprimanded McGregor who was shouting directions to Lobov throughout the match, until Goddard stepped in and forced McGregor to leave the area. Goddard emphasized that just because McGregor may be the face of the UFC, if not all of modern combat sports, it doesn’t mean he can get away with everything he does. Goddard said he wouldn’t have interfered if McGregor was doing what he did from the crowd. The Gdansk event is also where McGregor was caught saying a homophobic slur in the locker room in regards to Lobov, regarding Fili. The two would clash for a second time on November 10th at Bellator 187, where another McGregor teammate, Charlie Ward knocked out John Redmond in the first round. Now, this wouldn’t be an issue, but before the official, Marc Goddard, could make it known to the judges, Conor McGregor barrels into the cage embracing Ward. As soon as that began to happen, Goddard attempted to get McGregor out of the cage. McGregor, who seemed to take exception with Goddard telling him to leave and touching his chest, then shouted back at Goddard and eventually shoved Goddard as he was checking on Redmond, who was still kneeling on the mat. Goddard did not shove McGregor back. Moments later, McGregor was escorted out and left the cage on his own. When McGregor initially left the cage, he turned around and ran back into the enclosure shouting “that was a f*cking stoppage” before he was again asked to leave. It is unknown if there will be any repercussions to McGregor’s behavior towards an official, or if it was just a coincidence that Goddard would be the official for a fight featuring one of McGregor’s teammates. According to John Redmond’s coach, Andy Ryan, Bellator should shoulder the blame as event security did little to stop McGregor, because the promotion wanted the Irish superstar to be featured on the broadcast of the event. Coach Ryan believes things took a turn for the worse when Goddard explained that he had yet to stop the fight, having not been given adequate time to communicate with the commission due to the chaos in the cage.